on providing compassionate care for your pet and providing you with quality pet education. I still clearly remember the moment I decided I was going to be a veterinarian. I was 5 years old and I wanted to become a veterinarian so I could take care of my pony “Schnapps” when he grew old. Well, “Schnapps” was long gone by the time I entered vet school, but my drive to care for animals went unabated all those years. And after 22 years in practice, it’s fair to say that my passion has evolved somewhat. The driving force for me as a veterinarian is that I love to help improve “peoples” lives by helping their pets. I get an immense amount of satisfaction when I heal and help nurture someone’s beloved dog or cat back to health or when I help prevent a serious problem from developing. I like to think I not only contribute to the animals in my community but to their family as well. It’s why I do what I do. When I was 10 years old I found my newt “Fire” all dried up; Fire had been missing from his aquarium for several days. In a panic I insisted he get rushed to our family veterinarian. Obviously Fire had been dead for awhile but I remember Dr W taking my concerns to heart. He examined Fire, pretended to do CPR and then informed me he had died. Dr. W’s compassion to an emotional 10 year old had a lasting impact on me. Just like Dr W was to my family growing up, I too have formed bonds and relationships with people that go well beyond their pets. I have become part of peoples families through the care of their pets. For as long as I can remember I wanted to be a veterinarian. I never had a backup plan, I just knew with enough hard work and dedication I would achieve my life long goal. I had to… what else was I going to do?! Dr. Christine Loomis originally hails from Toronto , Ontario. She moved to Vancouver in 2007 shortly after completing her degree in Veterinary Medicine at the Ontario Veterinary College. For 10 years Christine had worked in emergency medicine in Vancouver, but has transitioned into general practice. Her professional interests include, emergency care and feline medicine . Outside of work she enjoys hiking, camping and spending time with her growing family. Christine is also the proud momma of Alfie a spunky Maltese, and two ill behaved cats, Mew and Aggie. When I come to work each day, I feel like I am doing something special. I like to think of myself as a hardworking Nova Scotia girl and someone who can always be counted on to do the right thing. And not just the right thing for the pets that we see each day but for the families that care for them. I have worked hard to become a highly skilled care giver for our furry friends but my passion goes beyond that. The past few years I have worked hard to develop those skills that allow me to share my knowledge with others. I love to help educate my staff and our clients. Our four legged family members add so much to our lives and it is my goal to not only help them through my direct care but through sharing my knowledge as well. When I was 8 years old, I bought 2 guinea pigs from a local pet store after winning a colouring contest. We were told they were both girls, but that was clearly not the case when 4 more little guinea pigs made an appearance a couple months later. Thus began my love for animals. I spent my afternoons and weekends volunteering at vet clinics and local animal shelters, trying to learn as much as possible about caring for our furry friends. After working in Ontario for a couple years, I made the trek out to beautiful British Columbia and have been a part of the IVH family ever since! Over the years, I’ve realized that I not only enjoy the technical aspect of my job, but I love being able to help clients in their journey to give their pet the best care possible. In my spare time, you will find me hiking and trekking around Vancouver stalking celebrities with my adorable sidekick, Arlie or travelling to visit family and friends. I have always loved animals and I grew up taking care of fish, hamsters and a rabbit named Mimi but didn’t consider working in the veterinary industry until a few years into post-secondary education. I was working towards a completely different career path; a major in English Literature as well as a teaching degree, but came across an ad on Facebook for a 6-month VOA program. I knew I was taking a huge leap coming from little to no background in the animal health industry but knew it was a calling I couldn’t ignore. Fast forward three years later, I graduated from the tech program as an RVT in June 2018 and am so excited for this new journey with this incredible team! My passions outside of work include training in different styles of dance, competing with my all-girls hiphop team locally and internationally and snuggling with my cat Sweden. Although I didn’t have any pets growing up, I spent every chance I could get with my friends and relatives animals. I got my first dog when I was in high school and brought her everywhere with me. She came with me when I went to school to become a Registered Technician, often acting as my anatomy model. She isn’t with us any longer but my family has grown to include 2 dogs and 1 cat (whose pictures are throughout this website) and they are a huge part of my family. I love the technical aspect of my job; the treatment room, the surgery suite, the anesthetics. But while my love of animals led me to this career, I get equal satisfaction from helping our clients, not just their pets. I share what I have learned and my hope is that helps the whole family. Pets have “always” been a part of my home growing up. Cats, dogs, horses, and even a guinea pig and rabbit. The idea of working with animals as a large part of my career has always made total sense to me. I was an equestrian coach for a number of years and worked on a breeding farm. It was on that farm, with the veterinarians coming and going all the time, that I decided that the veterinary world was for me. I’m a people person who loves animals. So my role as a Veterinary Office Assistant is a great one for me. My days are rewarded by seeing our four legged visitors, sharing my knowledge with our clients and making sure that everyone is well taken care of and getting all that they can out of their relationship with all of us at Island Vet. When I was growing up I always had a love for TV shows about animals! Learning about animals has always been a part of my life. After my post-secondary education in Biology at UBC, I approached Island Vet as I was looking for a hospital to do an observation day in order to apply for the VOA program at Douglas College. After spending a day with the team on a busy Monday, I decided I wanted to become a Registered Technician and started volunteering at the hospital and then becoming a full time employee. I am currently applying to the RVT program at Douglas College and am looking forward to caring for our furry friends for years to come! Ever since I was young, I have been surrounded by pets including cats, dogs, birds and hamsters. My love for the animals I had while growing up helped ensure my career path involved them. In 12th grade, I took horseback riding lessons and ended up doing my senior work experience there.  Getting my VOAC diploma was an obvious choice for me at that point and it has been very rewarding working in the veterinary field since then. The best present I ever received was my current cat Luna. I was really sick at the time and the little kitten never left my side. We have been inseparable ever since. Growing up I had always known I had a passion for animals even though I didn’t have any of my own. I didn’t have much experience working or dealing with animals when I was younger so I decided to do some research on working with them. It wasn’t until the last year of high school that I found out there was schooling to become a Veterinary Technician. Although I didn’t get accepted that time, I went to school to become a Veterinary Office Assistant and gained more experience and knowledge from there. I am currently in my last year of Veterinary Technician school and I couldn’t be happier with how everything worked out! I love being able to see different kinds of animals walk through the door whether they’re just in for a visit or getting treatment done. After moving to Vancouver 21 years ago, I promptly went to the SPCA and adopted a great cat which I named Owen. Owen had a happy life in Kitsilano and one day I took him to a local vet hospital for a regular check up. Well, the veterinary care was exceptional, and I have to say that the vet was pretty cute too. So cute that I married her. But with full disclosure here, Yvonne and I did not start spending time together after that veterinary visit. It was 2 years later that we connected again through different means and shortly thereafter was when we merged our feline families. But we still joke about that first meeting when I took Owen to the vet. She remembered Owen very well from that visit, even years later. And what about the guy who brought him in? Yvonne thinks that he was cute guy in a shirt and tie.